Protein is the building block of life. It is an important component of every cell in the body and our body needs it for pretty much everything: to build and repair tissues, to make enzymes and hormones, to build our muscles, skin, bones, hair and nails, to trigger neurotransmitters in the brain to improve our moods, to lower our blood sugar, and even to help us focus. Because our body doesn´t store protein, it is important to get enough of it during the day, however you don’t need to eat rice or beans with every meal to get your fill. Proteins can be gained from many food sources, including plants and animals. Many assume that one can only fulfill their bodies’ needs if animal products like meat, eggs, cheese or milk are consumed and that one cannot get enough proteins from plant-based food sources. Did you ever wonder why some important figures got their protein from plants? Even childhood characters like Popeye would eat spinach to stay strong and grow his muscles instead of munching on steak...there was some truth to that! Many vegetables like almonds, legumes, beans, oats, broccoli, peas, potatoes, spinach, brussels sprouts, corn, and Portobello mushrooms (to mention a handful) are high in proteins. Despite knowing that protein can be obtained from plant-based sources, there are still many myths surrounding the topic, which we hope to clear up once and for all. Plant-based proteins don’t contain all the necessary amino-acids. Many plant-based foods are filled with all the essential amino acids (like hemp, chia, sprouted brown rice, soy beans, quinoa – to name some). However, it is important to make sure to "eat the rainbow" of veggies and grains to ensure you're getting a variety of amino acids – so don’t only focus on broccoli or spinach but make the best out of it and try out a variety of food sources. This is key! They don’t build up muscles as well as animal proteins. Why not? Think about strong and fierce animals like gorillas, rhinos or elephants who are all plant-powered herbivores! There are many vegan bodybuilders and athletes who demonstrate that you can stay fit and strong when you focus on plant-based proteins. It’s interesting that people would say to stay strong as an Ox one needs to consume meat-when in reality Oxen eat almost any vegetation including grass, leafy plants, mosses, herbs, and shrubs! Plant-based proteins are high in carbohydrates and thus higher in calories. Not necessarily. The right plant-based foods can be an excellent source, often with fewer calories than animal products. For example, chia seeds are rich in fibre and contain healthy Omega-3 fatty acids and are low-calorie foods like many other vegetables (broccoli, spinach, kale, mushrooms, asparagus, hemp seeds, etc.). It is also known that high-protein diets help reduce body weight. You cannot get enough proteins from plant-based sources. The Academy of Nutrition and Dietetics recommends a minimum daily protein intake of 0.8 grams (g) of protein per kilogram of body weight ¹ . A fact is that mostly all of us consume more proteins than needed. Especially when everyone who eats an eight-ounce steak typically served in restaurants is getting more protein that their body needs. 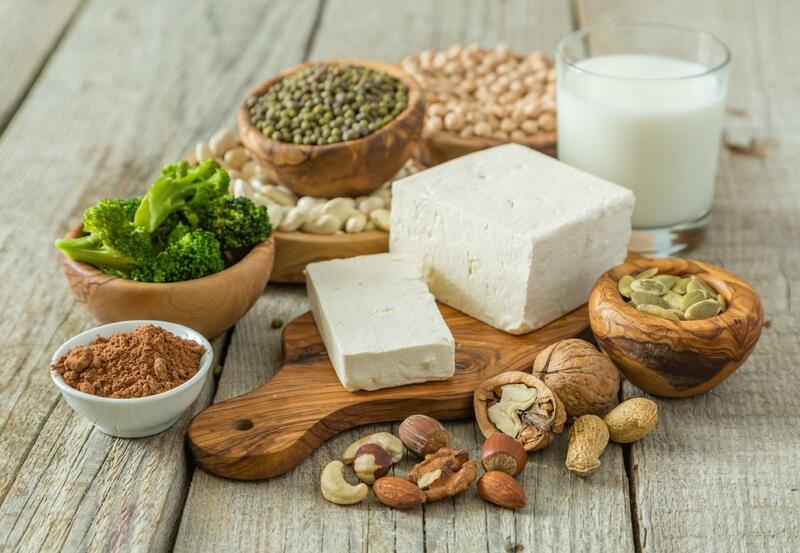 Protein from Plant-based foods provide enough proteins if one gets it from a variety of food sources containing for example lentils, nuts, vegetables and grains. Eating plant-based proteins is worse for the environment than consuming animal derived ones. Not so. Nutritionally valuable food is being fed to animals to produce meat, but by not using animals as meat-producing machines, this food could be freed to help those that need it most. 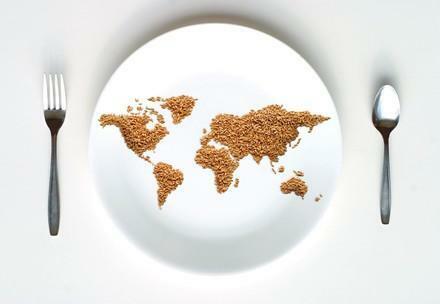 Vegetarian (and more so, vegan) diets use up far less of the world’s resources of food, land, water and energy. Consuming a lot of plant proteins is bad for one's health. Plant proteins can do a better job of meeting your protein needs than animal products, both because they are less concentrated sources of protein (making it less likely that you’ll get too much) and because they are more likely to be present with other nutrients such as fibre, vitamins, minerals, phytochemicals and healthy fats ² . Excess animal protein is linked to kidney disease, osteoporosis, cancers, type 2 diabetes and cardiovascular disease. Not only are vegetables great protein bombs, they are good for our health, the environment and certainly the best choice in regards to helping animals! There are 1000’s of ways to meet your daily protein needs with plant-based alternatives and varied meals. 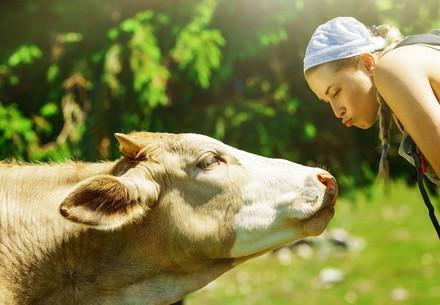 The 3R’s principle (Reduce, Refine, Replace) can help you with a step-by-step change towards a more animal-friendly diet.